Royal Dutch Shell PLC (LON:RDSA) is selling almost all of its Canadian oil sands assets for nearly $8.5 billion, as its chief executive said the industry was not longer a strategic fit for the firm, the world’s second largest publicly-traded oil company. Once the deals close, three major companies — CNRL, Suncor and ExxonMobil majority-owned Imperial Oil Ltd. — will dominate Canada's oil sands industry. Shell, in the midst of an investment push for renewable energy, noted it would both sell off its Albian oil sands project and other oil sands assets to Canadian Natural Resources (TSE:CNQ) for $8.5 billion, but also team up with that firm to buy Marathan Oil Corp.’s (NYSE:MRO) stake in Albian for $2.5 billion. With the deal, Calgary-based CNRL will become the owner of 126,000-bpd Jackpine Mine, the 154,000-bpd Muskeg River Mine, and have rights to the Jackpine Mine expansion, which has regulatory approvals for 100,000 bpd, apart from a number of oil sands leases and pipelines across the basin. The firm will also take ownership the Quest Carbon Capture and Storage (CCS) project, capable of sequestering 1.1 million tonnes per annum of carbon emission, and have a 70% stake in the 204,000-boepd Scotford Upgrader. 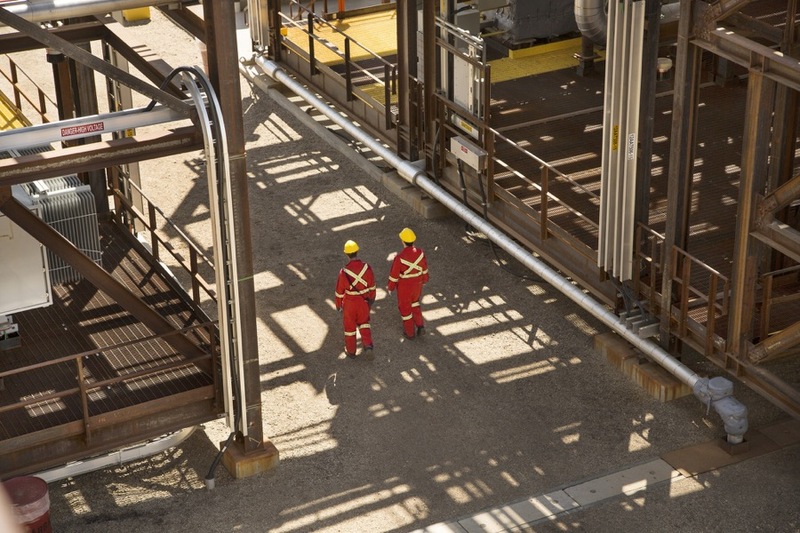 Shell estimated that about 3,000 employees working in the company’s oil sands division will join CNRL, though some layoffs among head office employees and technical staff are possible. The oil giant also said it has amended its pay policy to better reflect incentives to control emissions. As part of that measure, Shell plans to hike investment in renewable energy to $1 billion a year by the end of the decade, chief executive Ben van Beurden said on Thursday, although it is still a small part of its total annual spending of $25bn.